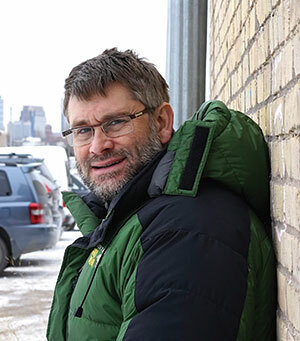 Dan Huff, director of environmental health for Minneapolis says environmental strategies can be a win-win for people, businesses and the planet. Dan Huff first went to camp when he was 5 years old, and in some ways he never left. He became captivated with the camp’s nature hut, which led to a lifelong fascination with how humans need to be effective protectors of the planet. 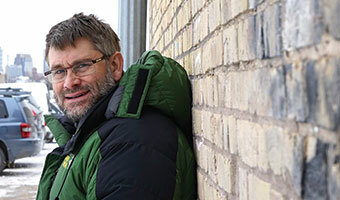 Today as the director of environmental health for Minneapolis, Huff helps develop strategies to protect the air, water and land — as well as its people. Huff first learned about government practices while volunteering in Washington, D.C., for a year after college. Later he became a high school science teacher. He also spent a year operating the water treatment plant at Holden Village, a retreat center near Chelan, Wash. Eventually he put his growing knowledge to use working for the city of Minneapolis. While politics and bureaucracy can be a challenge, Huff said environmental strategies can be a win-win for people, for businesses and for the planet. One of the most important things Huff wants people to know is that pollution disproportionately hurts poor people, people of color, the elderly and children. While trying to care for the environment may seem overwhelming, Huff wants people to not feel that way. “You don’t have to go off the grid and only eat alfalfa sprouts,” he said. Huff recommends taking it one step at a time. For example, see if your congregation’s facilities are energy efficient, and find simple ways to improve that.